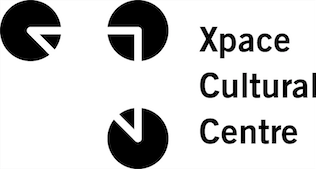 Xpace Cultural Centre is a not-for-profit artist-run centre dedicated to providing emerging and student artists, designers, curators and writers with opportunities to showcase their work in a professional setting. Xpace is committed to maintaining an anti-oppressive, queer positive environment, welcoming marginalized, racialized and indigenous folks. We wish to acknowledge this sacred land on which Xpace Cultural Centre operates. It has been a site of human activity for 15,000 years. The territories include the Huron-Wendat, Anishinabek Nation, the Haudenosaunee Confederacy, the Mississaugas of the Credit First Nations, and the Métis Nation. The territory is the subject of the Dish With One Spoon Wampum Belt Covenant, an agreement between the Iroquois Confederacy and Confederacy of the Ojibwe and allied nations to peaceably share and care for the resources around the Great Lakes. Today, the meeting place of Tkaronto is still the home to many Indigenous people from across Turtle Island and we are grateful to have the opportunity to work in the community, on this territory. Emily Gove is a practicing artist, educator and programmer. Her work is inspired by subculture, folk art, craft, horror and kitsch, and often includes collaboration and community engagement. Emily has worked extensively with various communities including post-secondary students, emerging artists, children and youth, adults and seniors. She has an MFA in Studio Art and her work has been exhibited nationally and internationally. Geneviève Wallen is a Toronto-based curator and writer interested in the manifestation of healing spaces within the arts. Wallen’s interest in diasporic narratives, intersectional feminism, intergenerational healing and BIPOC alternative timelines, inform her practice. She has curated exhibitions in Montreal and Toronto, and is a board member-curator at YTB (Younger Than Beyoncé) Gallery as well as a member of the ad hoc collective We Critique, We Curate. Philip Ocampo is a queer Filipino artist and curator based in Toronto, Canada. Ocampo’s multidisciplinary practice primarily involves sculpture, installation, illustration and public programming. His work usually explores phenomenon, nostalgia, and the reconciling of personal experiences. 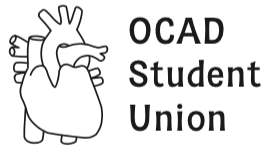 Ocampo holds a BFA in Digital Painting and Expanded Animation from OCAD U.